The easiest sales pitch to say “no” to, is one from a person who doesn’t believe in what they are asking YOU to buy. 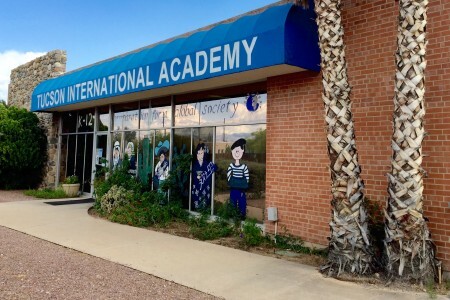 When you read what our principals have to say, you know they BELIEVE in this charter school called Tucson International Academy… they truly buy what they are selling. ”What sets TIA apart is how we’re small enough to have that one-on-one time with our students. We work with them constantly on their studies. We encourage them to learn something new every day. But our conversations don’t always have to be about a math lesson. We can sometimes just say to a student, ‘Let’s reflect on what’s happening in your life right now.’ Students really appreciate this because it not only gives them a break from the day- to- day grind but they get the individual attention they need. People who teach have choices about where they teach. As you have read what Mr. Montemayor has to say, you know he is not in it for the money or for the attention. He teaches because he cares. When someone cares about what he does, he wants a place in which to meaningfully invest his life. It’s obvious, he believes that this unique charter school, the Tucson International Academy, is that place.